I can spend up to an hour searching for that elusive coffee shop I can lock myself away in. 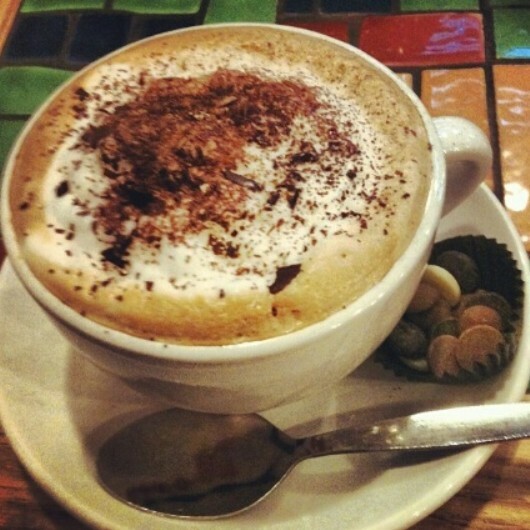 I say coffee shop, because any café worth its salt sells good coffee, and the scent of freshly roasted coffee beans, ground to a fineness, is something I always fall for. I rarely find such cafés, but in the few cases where I do find the kind which ticks all the boxes, I tend to haunt it, and become somewhat of a weekly feature, as the staff take my regular order. So far there are three cafés in the city centre which get my vote, but I have been hankering for another cubby hole of a place whose inviting nature is too much to resist. My new find is Loco Lounge. Firstly, it's big; there is a lot of floor space so it is light and airy, yet at the same time you can lose yourself in a corner, laptop plugged in to the strategically placed sockets of course. With my tablet and phone on charge, and my mug of creamy latte (£2.10), I found myself relaxing, getting comfy, and looking forward to sipping on a rare treat: coffee. 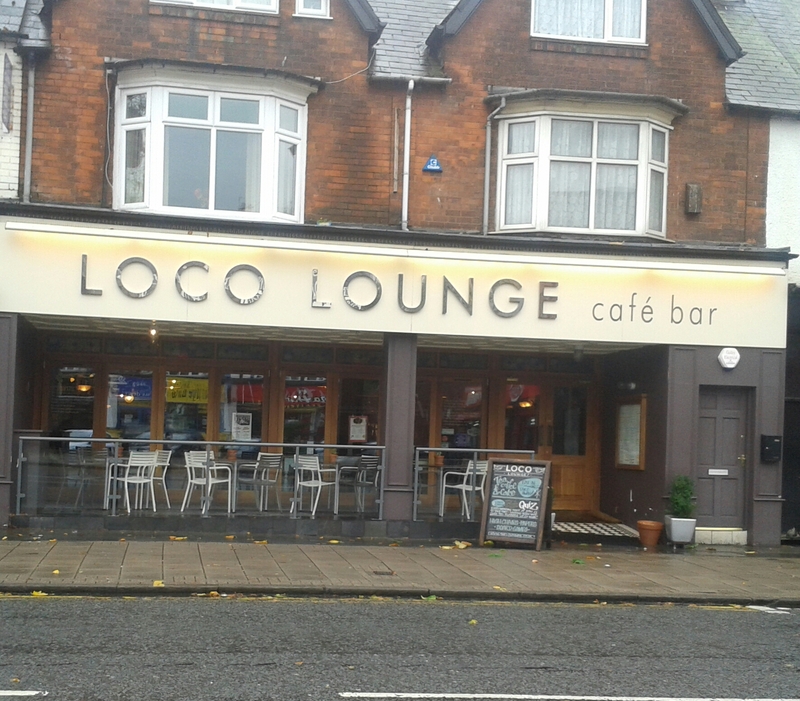 Loco Lounge is part of the Loungers group, which also manages the fantastic Arco Lounge in Harborne. They aren't focused on city centres, but are strategically placed on High Streets in little towns, and a yummy cuppa and snug seating is just what I crave when the temperature drops at this time of year. Unlike a lot of places who have a string of branches dotted around the country, the level of service is still great. My barista was chatting to me throughout my order, and recommended the completely gluten-free menu when I mentioned I am intolerant to gluten. I couldn't believe it. I have never seen a full GF menu, never mind one which has eight breakfast/brunch options, puddings, tapas, and veggie dishes. 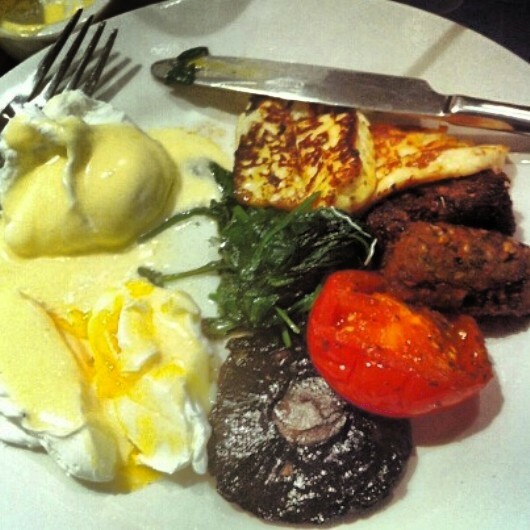 I tried the Lounge Eggs (£5.25), which were poached exactly how I like them (not too soft) and presented with a perfectly creamy hollandaise sauce. Also on the GF menu the burgers are 'served skinny...no bun', which is perfect if you're following a Paleo, Keto, or Low-Carb diet. If you're one of the lucky people who can enjoy gluten however, their 'normal' menu is rich with well thought out artisan bites. Try the sugar roasted ham, mature cheddar, tomato and orange marmalade sandwich served with thick cut chips (£6.50), and you'll be full for the rest of the day. It's a true break from the norm because cafes are renowned for sugary, carby, dense bites which you can enjoy - that's the whole point in my eyes - but Loco Lounge goes one further and genuinely caters for the health-conscious eater. I don't know of any other cafe in Birmingham which does this, so they're true champions of what is right and good. 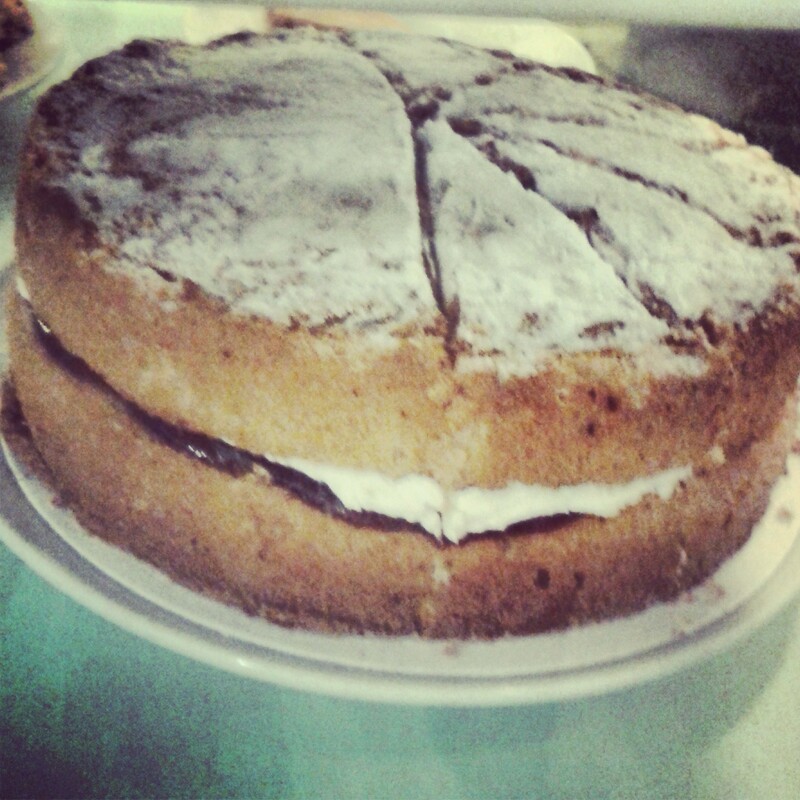 Before you think Loco Lounge is the dieter's cafe, you might want to know, they also serve some scrummy cakes, like their classic Victoria sponge. Sometimes you need a cafe you can lock yourself away in and forget the worries of the world, Loco Lounge is just that. Turn your phone off and turn your laptop on because the free wifi is high speed, and, if you're a creative type like myself you will thrive in the Indie space, so go on, revel in it.